Welcome to the Georgia Dizzy Dean Website! 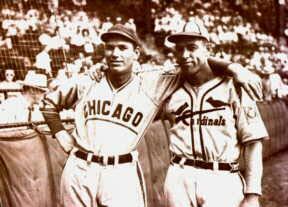 Thanks for visiting the Georgia Dizzy Dean site. You will find all the info that you need here, to play Dizzy Dean baseball/softball. We encourage all organizations to “Come play with us”. Georgia Dizzy Dean is the largest state in the program with 2000 teams this year and growing even more next year. If you would like to become a Dizzy Dean sponsored recreational facility, please contact any of our board members for more information. We are available at your request to come speak with your board of directors, and to answer any questions that you may have. We have changed our format for this year: all state tournaments will be a 3 game guarantee, 2 pool games followed by a single elimination tournament. District tournaments will also be 3 game guarantee with the host and a Dizzy Dean State Director deciding the format, which will depend on the number of teams registered for that tournament. Also beginning this year, it will be the responsibility of each team to supply the game balls. Balls must be Dizzy Dean approved balls and the commissioners signature will not be required. It will be the umpires responsibility to approve all balls as they come into the game. "It aint braggin if you can back it up"
© Copyright Georgia Dizzy Dean Baseball, Inc. 2019 All Rights Reserved No part of this site may be reproduced without written consent.